Relax. He’s talking about music. The serious young composer of modern classical chamber and orchestral pieces is intrigued by the sampling logic of electronic music and the innovative beats of pop artists. Shunning stylistic labels, he composes in both tonal and atonal harmonies, experimenting with surrealist forms at the USC Thornton School of Music. According to his Spotify app, the most recent tracks he played are by artists like Kendrick Lamar and the Talking Heads. Confining himself to classical works, Lindveit said, “would be very boring.” Then again, he reveres Gustav Mahler, John Adams and Esa-Pekka Salonen, to name only a few of his strong influences. As one of USC’s two salutatorians, Lindveit is one of three 2016 graduates who will sit on the platform at the 133rd commencement, alongside such honorees as Oracle founder Larry Ellison and Academy Award-winning filmmaker Alejandro Iñárritu. Becoming a composer wasn’t the most obvious path for him to take. A scholar by nature, he competed as a youngster in spelling and geography bees, math decathlons and chess tournaments. He was the kind of kid who could identify commercial airplane models as they flew overhead. Growing up in sleepy Lake Jackson, Texas, Lindveit is the child of a legal secretary and a trucker-turned-repair-shop-owner. He had little exposure to the arts before middle school, when he first picked up the euphonium to join the school band. Between composition lessons in Houston and a summer program at the Cleveland Institute of Music, Lindveit amassed a significant portfolio by the time he was admitted to USC, his first choice, as a Presidential Scholar and recipient of the Adrienne Westerbeck Endowed Music Scholarship. He considers the piano trio he composed at age 16 as his first opus. Since then, he’s penned many hours of music, including six works commissioned by professional chamber ensembles. 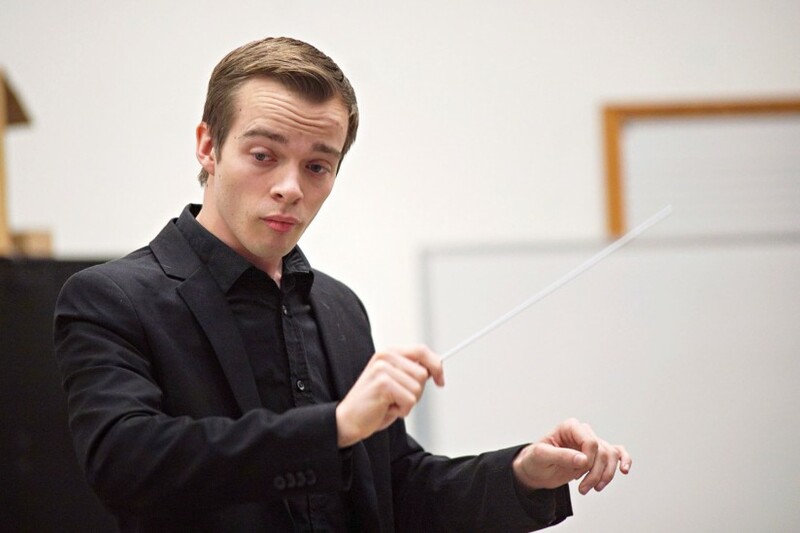 In the past year, he has received prizes at eight national competitions, including a 2016 BMI Student Composer Award for his “Spinning Yarns,” a multilayered wind ensemble piece inspired by the Margaret Atwood novel, The Blind Assassin. That work had its world premiere last summer in Washington, D.C., where it was performed by the U.S. Marine Band. It was subsequently performed again in Bovard Auditorium by the USC Thornton Wind Ensemble. A few days later in the same hall, the USC Thornton Symphony premiered Lindveit’s orchestral piece, “Like an Altar With Nine Thousand Robot Attendants.” Both works had taken USC Thornton’s 2015 top prizes for new music composition. But it’s Lindveit’s 2012 string quartet, “Exuberant Turns,” that marked the most important milestone in his artistic journey. The piece was inspired by a brush with mortality during Lindveit’s freshman year after he was rushed from his dorm room into emergency surgery with a ruptured appendix. After missing nine days of school — a gap that earned him the only A- of his four years at USC, resulting in an overall 3.99 GPA — Lindveit returned to campus, fully committed to a life of composing, conducting and someday teaching at the university level. That decision was validated at USC Thornton, where his prizes and awards quickly piled up. But this spring, Lindveit’s passionate pursuit of music — and music alone — was vindicated university-wide when he was selected as a salutatorian. And earlier this month, he snagged one of USC’s coveted $10,000 Discovery Scholars Prizes, which rewards the creators of outstanding original work in any discipline. He will continue his graduate-level composition studies at Yale University in 2017. Look for “spiked,” his forthcoming piece for the new music ensemble Alarm Will Sound, commissioned for the 2016 Mizzou International Composers Festival. 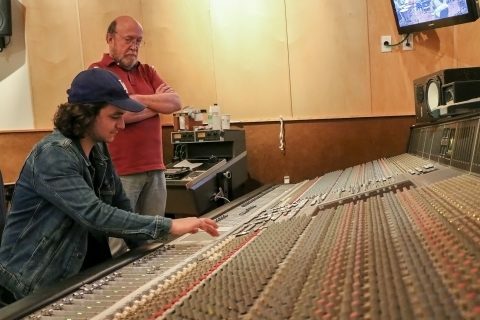 Music Production major Joey Messina-Doerning orchestrates a multi-track recording of the symphony using a vintage analog piece of equipment. The result was music to his ears. 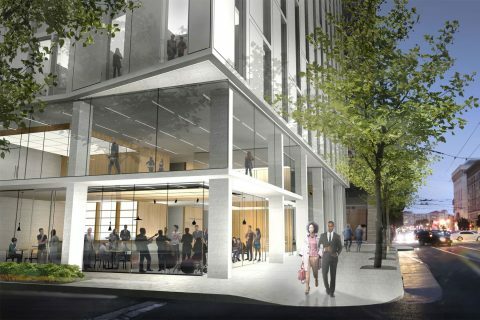 The new Ute and William K. Bowes Jr. Center for Performing Arts will include facilities for the 70-year old radio station, the region’s leading classical music broadcaster. 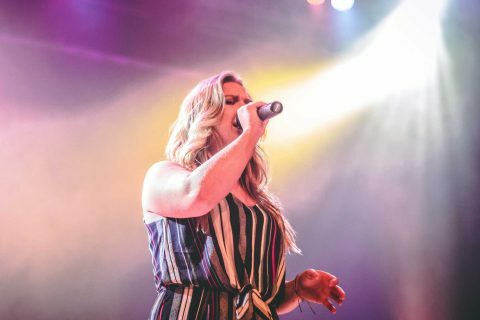 The USC Annenberg Inclusion Initiative report finds a shortage of women in all levels, from performers to producers and songwriters.